A woman was pulled alive from the River Aire following a dramatic rescue operation in the centre of Leeds today. 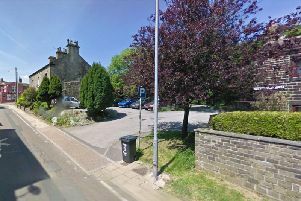 Firefighters were dispatched to Riverside Court, off Call Lane, at about 7.55am following reports of a person plunging into the water from Leeds Bridge. The woman was sighted in the middle of the river and a 25-metre rescue line thrown to her but she was unable to drag herself out. Firefighters then entered the water wearing dry suits and helped her to safety via a ladder that had been secured to the bankside. The woman, thought to be aged about 40, was left in the care of police and paramedics at about 8.15am. It was not clear today how she had come to fall from the bridge. Leeds Fire Station’s Watch Commander Derek Sylvester said the woman was cold and not very communicative but conscious and breathing.